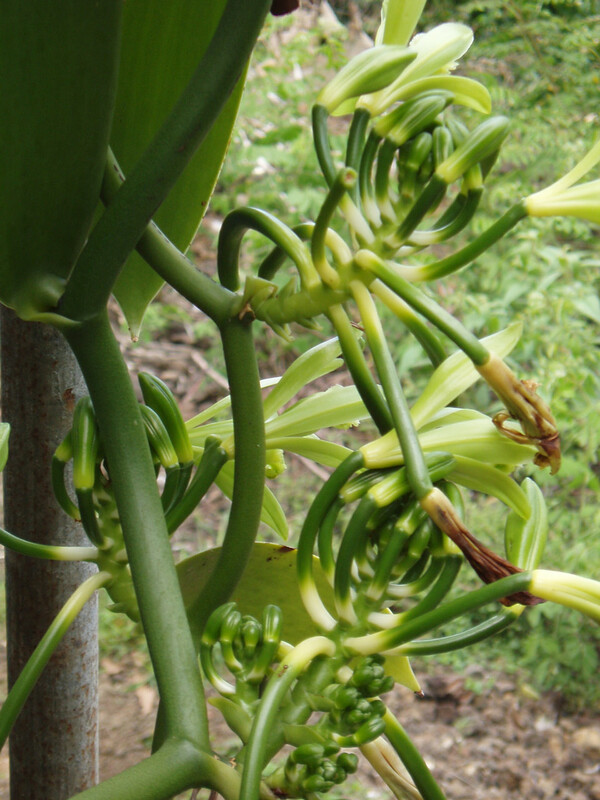 You might be able to buy a few Hawaiian vanilla beans from Huahua Farm on the Big Island of Hawaii. New crops are generally available in May. 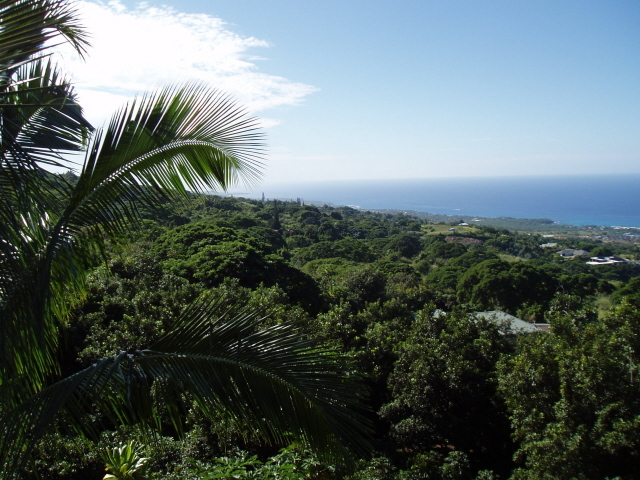 Huahua Farm of Kona, Hawaii grows and processes 100% Kona coffee, Hawaiian macadamia nuts and vanilla beans. My husband, Phil, and I bought this 10.5 acre farm in 1998 and learned to be farmers. It is a wonderful life and we never have to go to the gym for workouts. 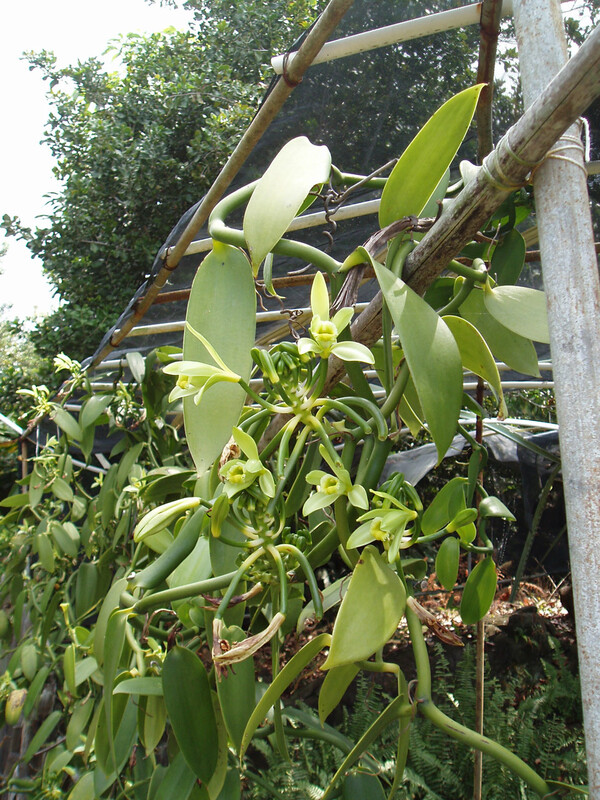 Since we moved to Huahua Farm we have been delighted to discover various tropical plants growing on the property. 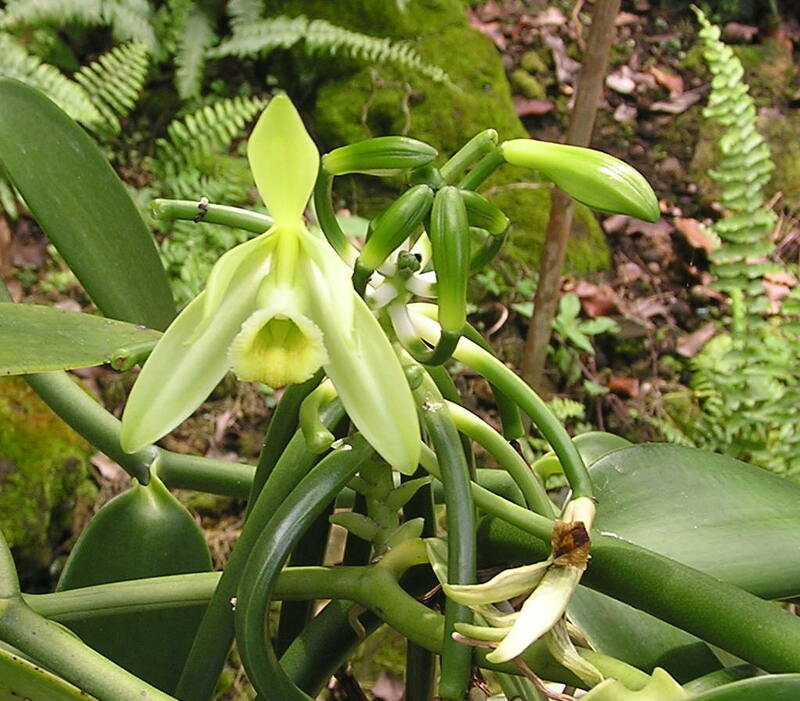 One of the most interesting is a vine with green orchids – a vanilla orchid! We have nurtured and multiplied the vine, learned how to cure the wonderfully fragrant beans and now offer them for sale. Visitors to the island are welcome to come to the farm for a brief tour. If you are interested, please give us a call or send an Email. 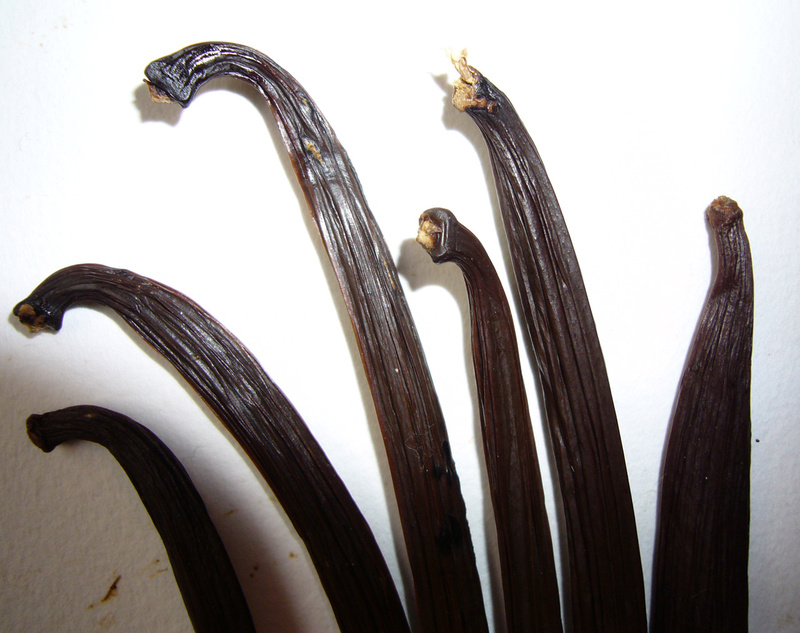 Hawaii vanilla planifolia “A” – $7.50 per 2 beans, including shipping. The beans are flexible and brown. They are somewhat plump — not fat, but thick to my satisfaction. The skin is smooth, firm, and pliable. 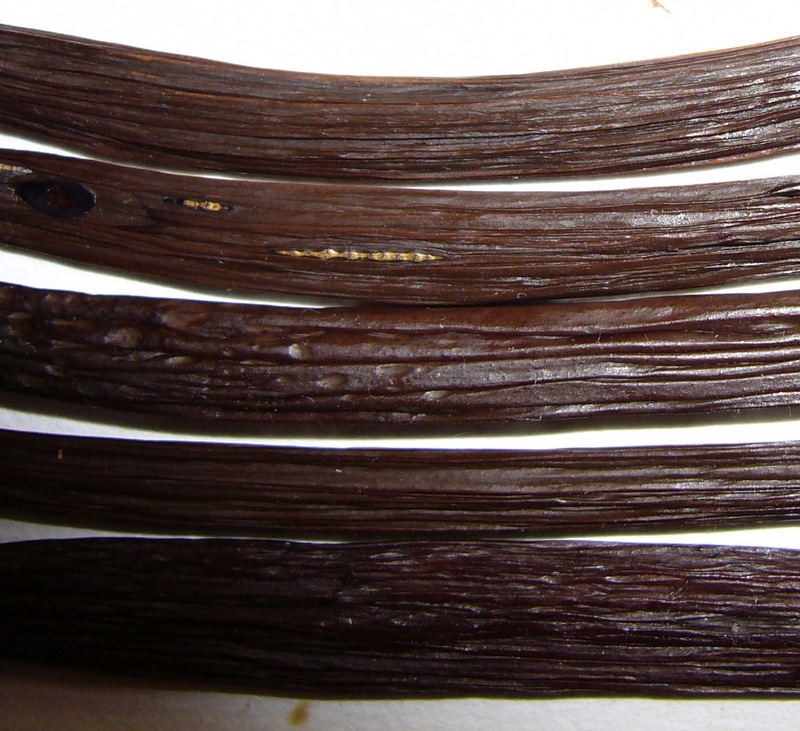 It has a matte appearance, and the exterior isn’t significantly oily or aromatic — I believe this is because the vanilla was never vacuum packed, so all the oil remains inside the bean. 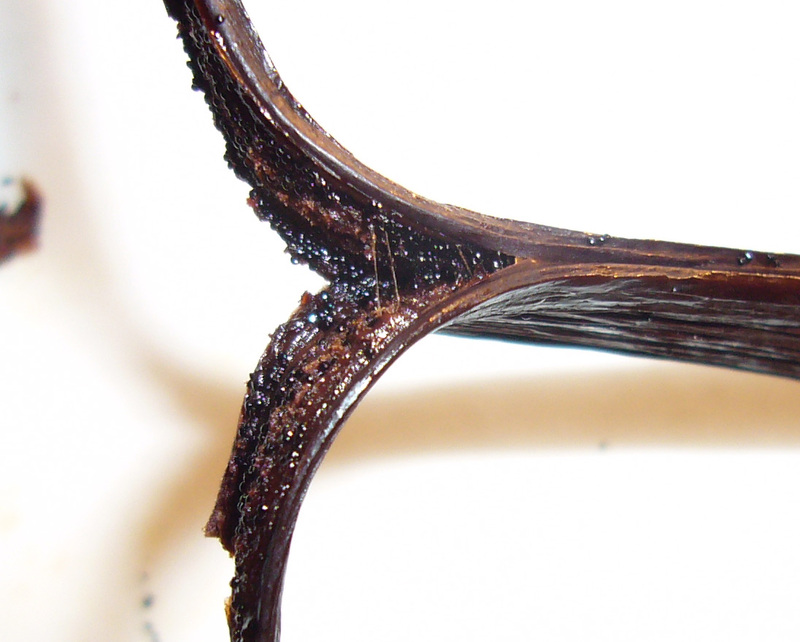 These suspicions were partially confirmed when I cut open the bean and found some of the oiliest, “goopy-ist” caviar you’ll see on this site. The beans cut beautifully. 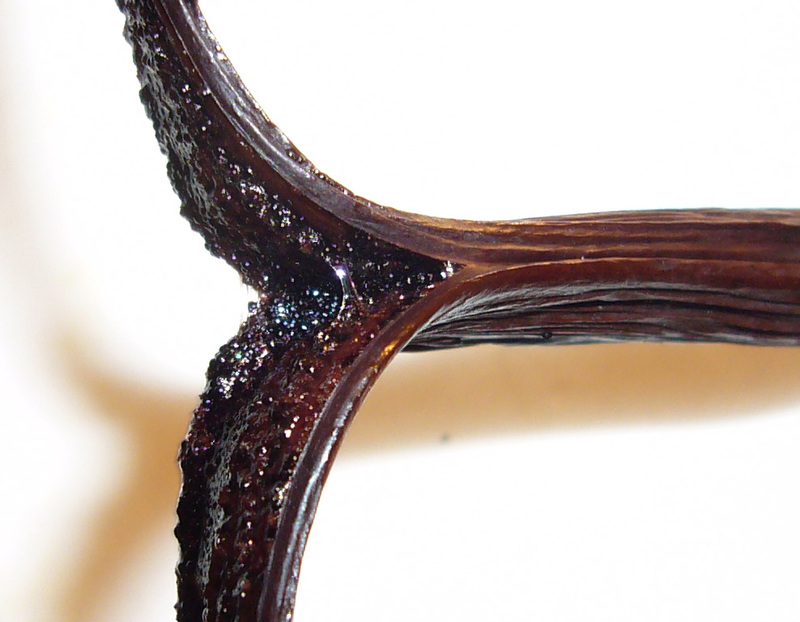 Long, sticky strings form between the halves of the bean when pulled apart. 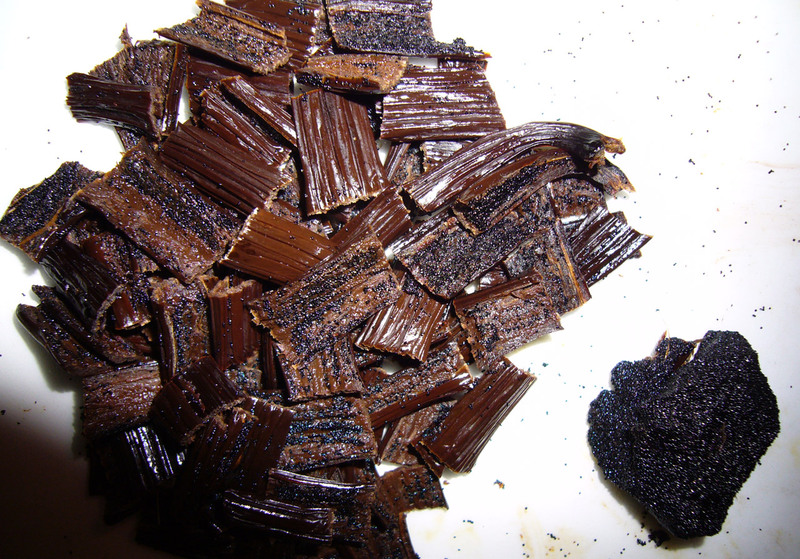 The caviar is gushing with oil. The aroma is dark and undeniably floral. Perhaps a tiny bit nutty? Just four beans yield an impressive ball of caviar. Huahua’s beans are farm grown and cured in Hawaii. 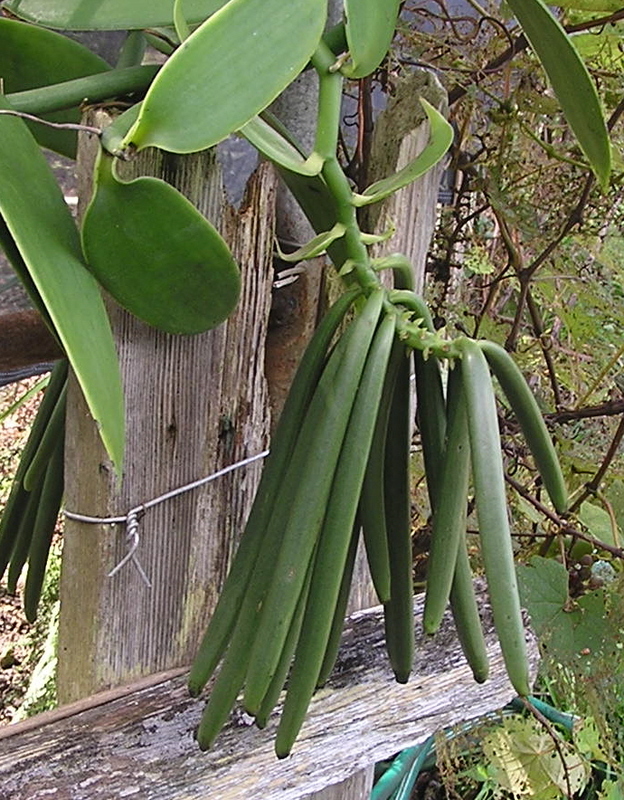 Farm curing is typical of first world vanilla production. 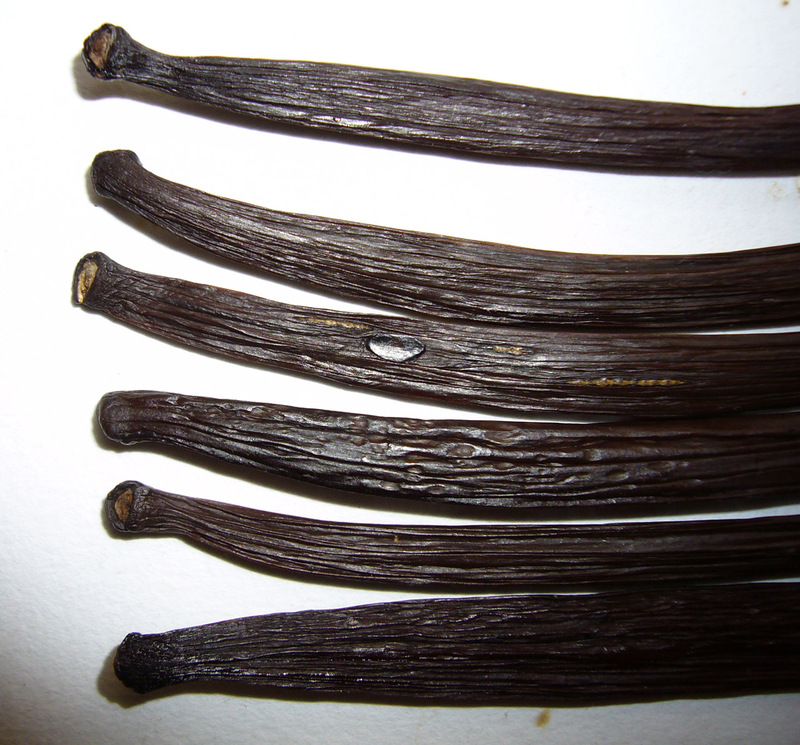 They have more moisture than a typical Madagascar vanilla bean, and the skin is more supple. 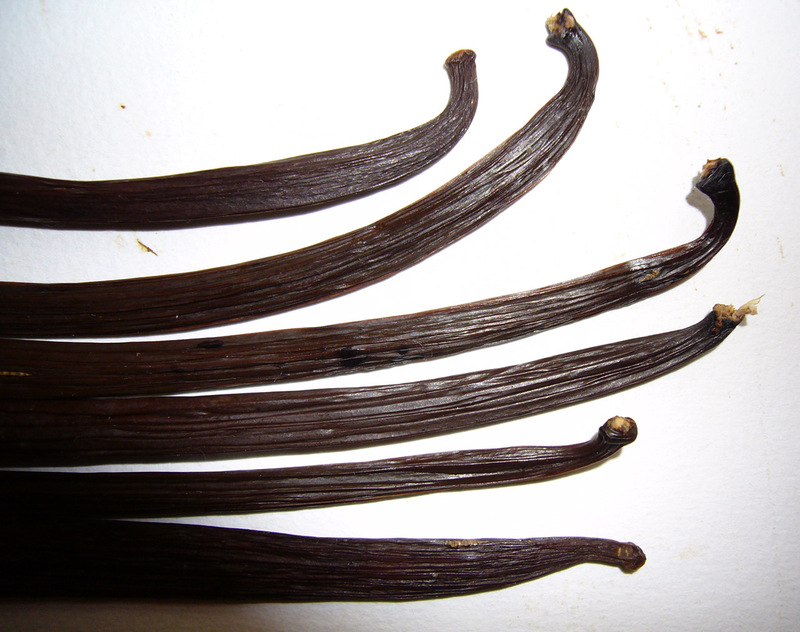 I’ve seen this in most vanilla beans I’ve reviewed from Pacific islands (Tahiti, Hawaii, Tonga). 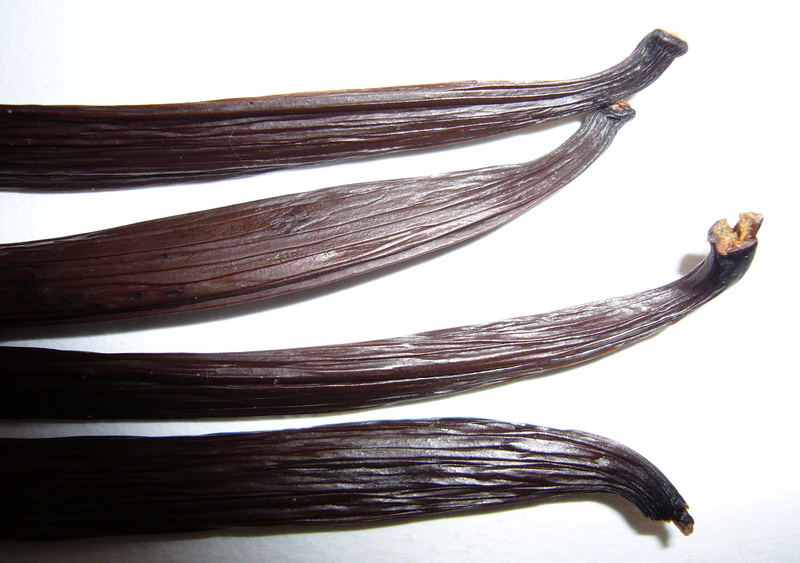 Huahua Farm’s vanilla beans are excellent and unique. 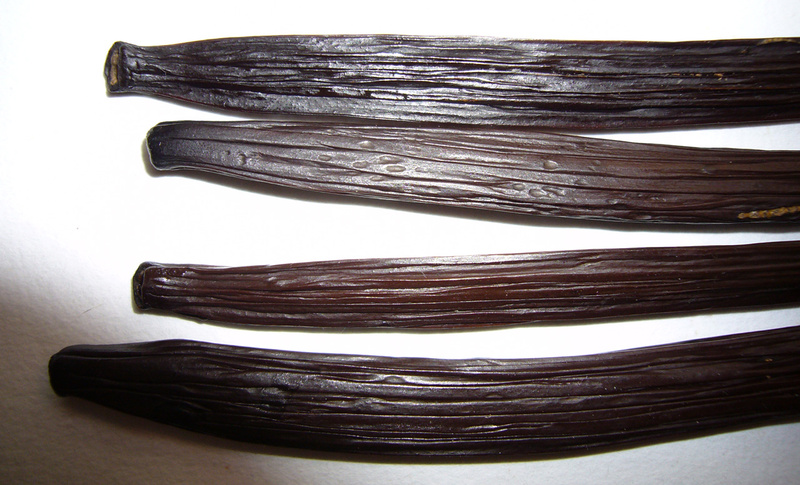 They are the only vanilla beans you can buy that are grown in America, and they are in short supply. The beans sold out fast last year (2007) — I’ve been wait since February to get my hands on some. 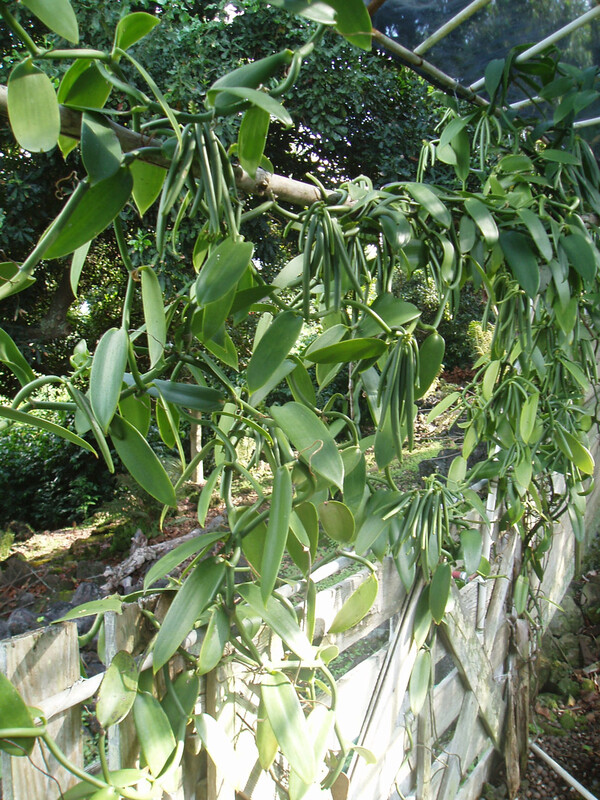 Most vanilla purchases are made around the winter holidays, but you’ll have to buy these beans in the summer if you want Hawaiian vanilla in your Christmas treats. 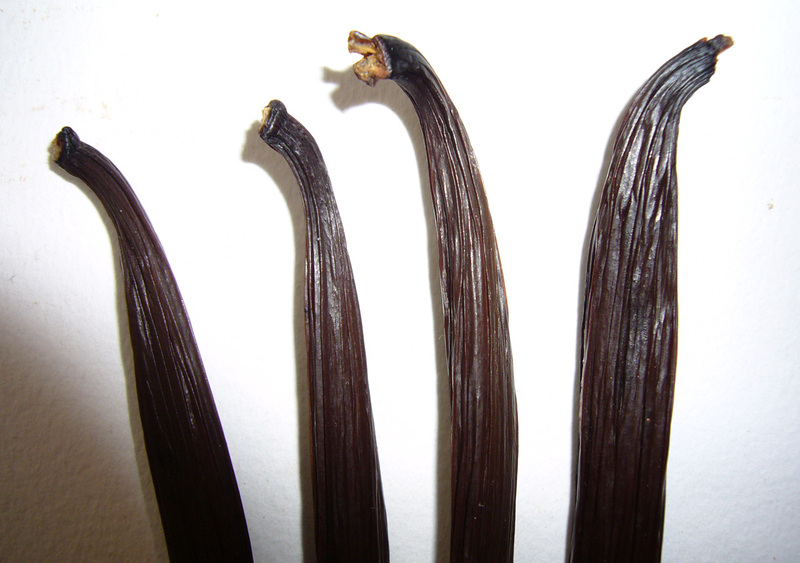 Hawaii vanilla planifolia “B” – sample beans. 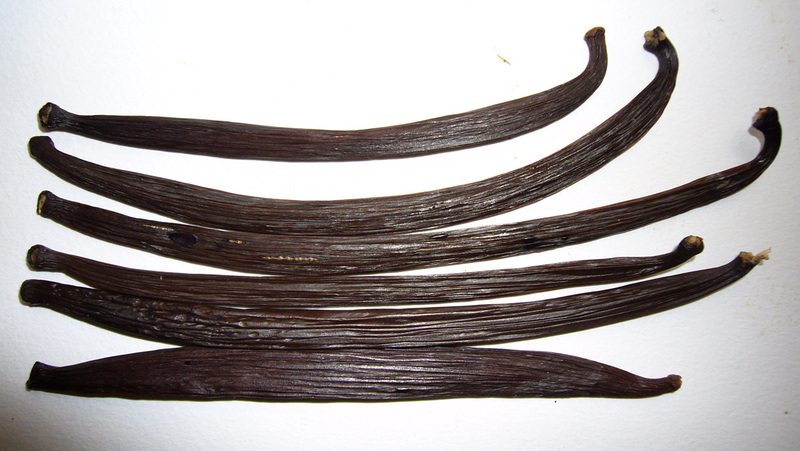 Clare sent a few “B” beans to total one ounce of vanilla. 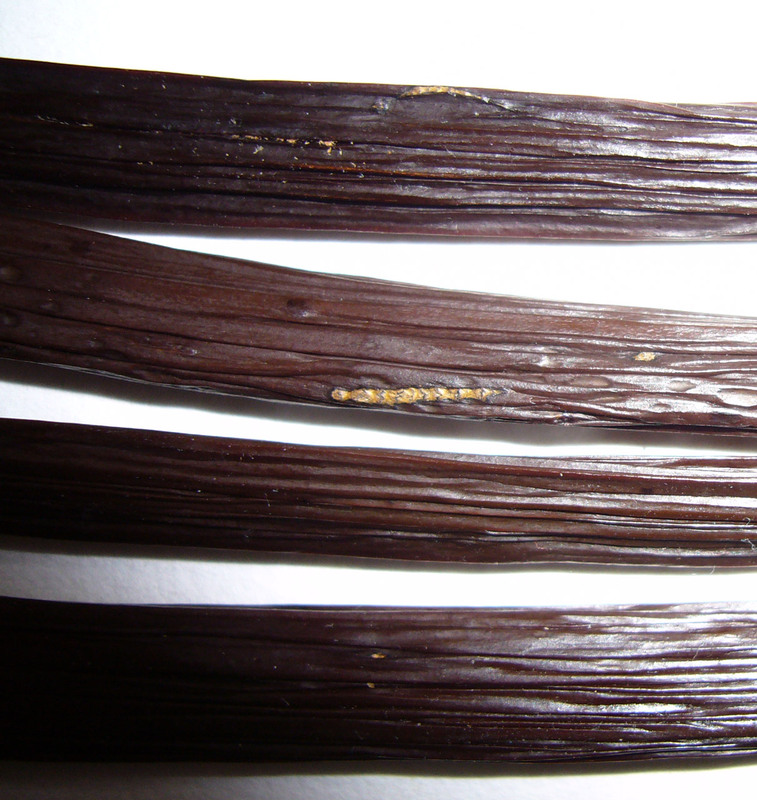 These are tiny vanilla beans, the smallest featured on this site. 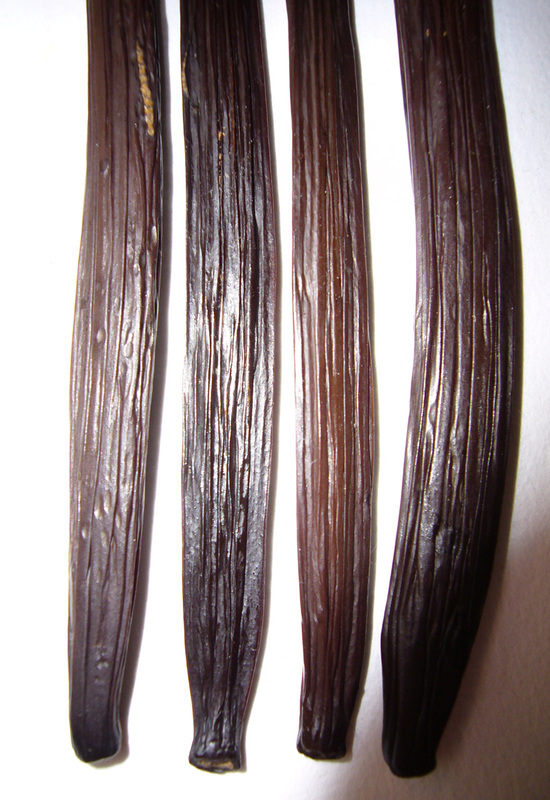 These shorter vanilla beans seem slightly drier than the “A” beans. 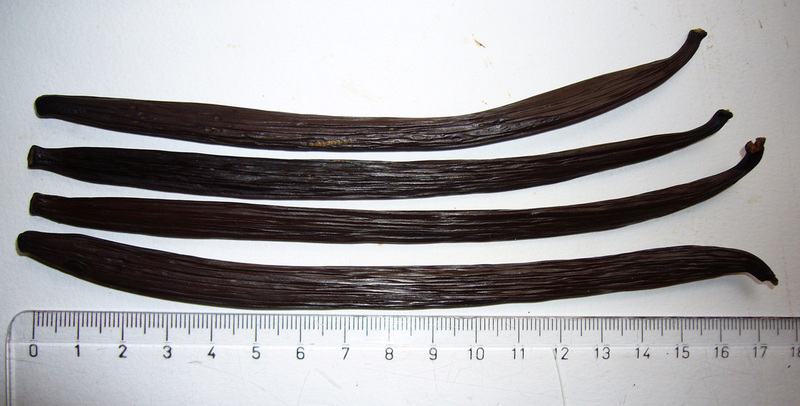 According to Clare: As far as I know the size is the only difference between A and B vanilla beans. The shorter beans are also smaller in diameter when picked and thus dry sooner – my fault for not getting them stored sooner. 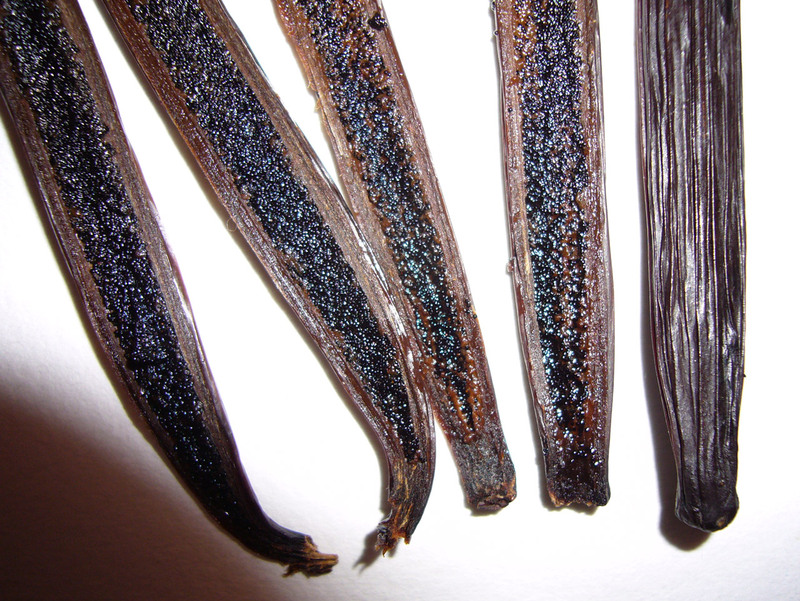 It’s pretty tricky to determine when a vanilla bean is dry enough to be stored without it then developing mold. I’ve lost some beautiful beans to mold. 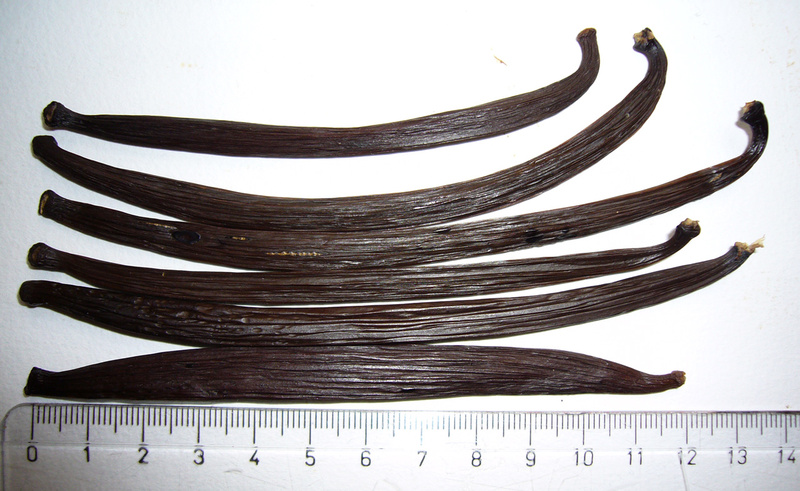 Like the larger version, these vanilla beans are brown, flexible, and moderately plump. 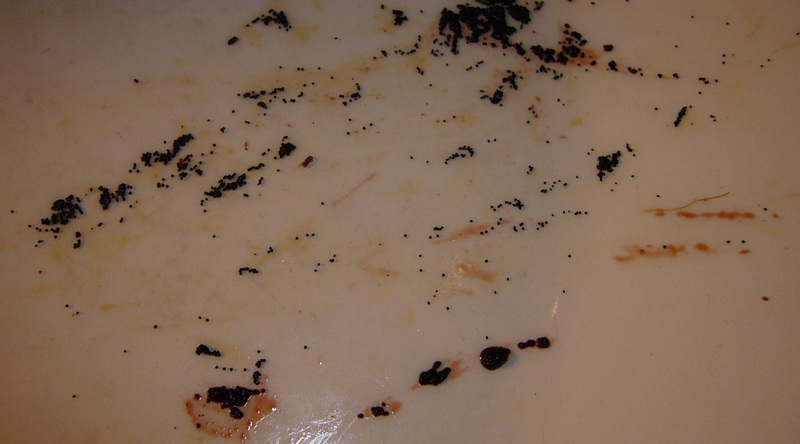 The caviar is super oily and goopy. 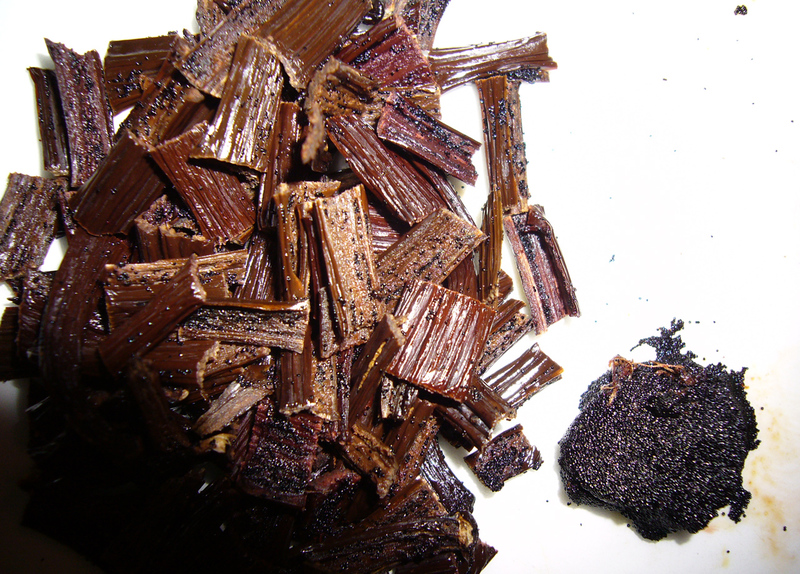 One bean has a bit of blood-red caviar – see the comparison photo in the gallery. Sticky strings form between the halves when they are pulled apart. 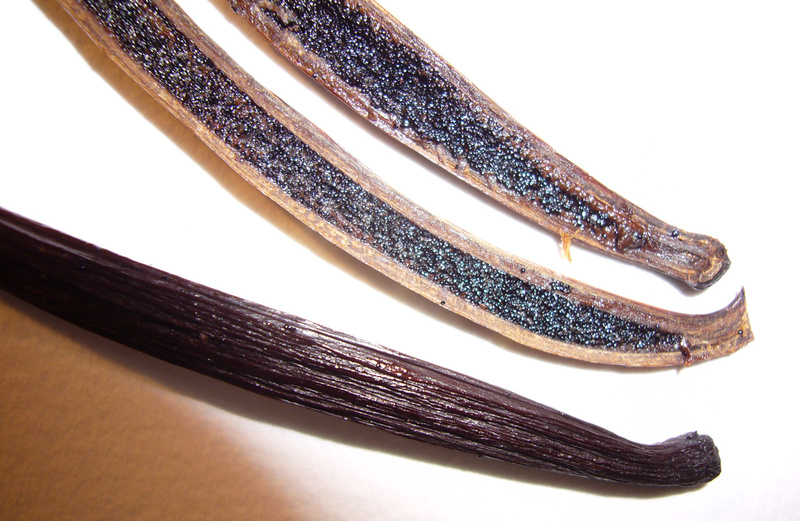 Caviar yield is more than satisfactory for such small vanilla beans. This size bean is perfect for one or two servings of dessert. They are not listed on the Huahua website, but try contacting Clare if you’re interested. unfortunately really don’t have many this year. Next year will be better. I had to raise the price because the new postal rates added a dollar to my cost. Used to be able to just mail them like a first-class letter but now anything with an uneven thickness has an extra charge. 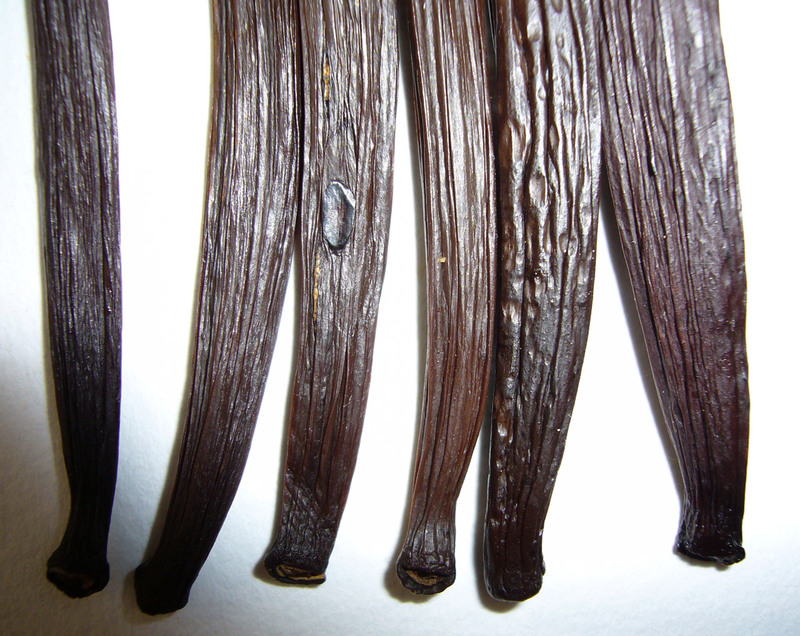 This vanilla really look superb!! Read about a reader’s visit to Hua Hua Farm.